Questions? Please view our ticket information and FAQ pages! The grand finale of both the Vail Jazz Festival and the beautiful Colorado summer season, the Vail Jazz Party features a jam-packed lineup with over 35 headliners that join together to play in group performances, multi-artist jam sessions, and inspiring multimedia tributes to jazz legends. Vail Jazz Party features a House Band with John Clayton, Jeff Clayton, Terell Stafford, Wycliffe Gordon, Bill Cunliffe, and Lewis Nash. With over 35 hours of jazz music, the Vail Jazz Party has cemented its reputation as the premier Labor Day weekend event! The Vail Jazz Party features 13 sessions of music—over 35 hours—from Thursday through Monday. Passes are the best way to experience the Vail Jazz Party, offering early entry to all sessions throughout the weekend. Tickets gain entry into a session of music, which typically lasts 4-5 hours and consists of multiple sets. An all-inclusive pass that provides early entry to to all twelve sessions throughout the weekend including the Opening Night Reception on Thursday (8/29), and dinner with the artists on Saturday evening (8/31). A no-frills pass that provides early entry to to all twelve sessions throughout the weekend. Ticket includes entry to the opening session on Thursday evening, including three sets of music featuring the Vail Jazz Workshop, Vail Jazz Alumni Quintet, and Vail Jazz Party House Band.  The Vail Jazz Party features a jam-packed lineup with over 35 headliners that join together to play in a variety of performances, multi-artist jam sessions, and inspiring special performances that pay tribute to jazz legends. All Vail Jazz Party events take place in Lionshead Village within the Town of Vail. The Vail Marriott is the headquarters hotel, and hosts all evening sessions of music. The jazz tent at Vail Square is the location for the opening night performance and daytime sessions. The Jazz Tent at Vail Square hosts the Opening Session on Thursday night, the Gospel Prayer Meetin’, and all daytime sessions. The Vail Marriott hosts all evening sessions, the Dinner with Artists on Saturday (Patron Pass holders only), and the Late Night Jam sessions. Evening sessions and Dinner with Artists are located in the Grand Ballroom (lower floor), and Late Night Jams are located in Wing’s Place at the First Chair Café (2nd floor). Vail Jazz’s partners offer a variety of special offers and discounts for travel and lodging. For a complete list of all recommended travel and accommodations, view our visit page. CME provides shuttle service from both the Vail / Eagle County Airport and Denver International Airport. Vail Jazz customers receive 10% off on ground transfers! Hertz offers special car rental rates from Denver International Airport for Vail Jazz Party guests. The Vail Marriott Mountain Resort is the headquarters hotel of the Vail Jazz Party, and offers reduced rates starting at $159/night to Vail Jazz patrons, with $12/day valet parking with in and out privileges. Click here to reserve today!